Oh, denial is such a fun place to live in. Until reality slaps you in the face. This week was rough, a few more early starts at work, but mostly due to my ability to ignore the signs. It’s a skill. I have many skills but a lot of them seem to only give myself ways to get in my own way, ha! But it was race week- I had to be excited! I really planned on running, packed all my gear but realized half way to work that I forgot my shoes. Doh. Stupid. Work was a little chaotic so maybe it was a good thing? Who knows, all I know is Liift4 felt harder than usual. A rain storm was predicted to arrive overnight but I figured I could get in Monday’s run. It wasn’t cold but I didn’t account for the very cold, very strong wind. Less than 1/2 a mile in I could feel an asthma attack coming on. I slowed to a crawl and the feelings eased but do not go away. I called it at one lap of the lake and ended with a serious wheeze. It took a few hours for it to really ease. I woke up with a sore throat but attributed it to the asthma issue. Other than that I can’t remember much of the day. Another sore throat and another early morning meeting. I think this was the second of the week. I headed out for 3-4 miles after work but wasn’t feeling it. I felt off. The denial is strong with this one. I worked the late shift which was amazing after the early starts. Again, I was ignoring the sore throat and increasingly consistent coughing. I felt a little more rested as I was able to sleep longer than normal before heading up towards Oakland. It took around hours and I only had 1 missed exit, ha, but I made it to the expo area around 2. Instead of going directly there, I decided to drive to the start line and check out the area for the next morning. That didn’t take long and I was dropping my car with the valet at the Marriot all to soon. That hotel is deceptively large and the expo was in the Convention Center. I picked up my bib, wandered around and then wandered around again. Bought a shirt, was able to get my shirt AND medal from the canceled Monterey Bay Half last year and met an Olympian!! Alysia Montano was at one of the booths and I got her autograph! Y’all this required so much stepping out of my shell. Then I couldn’t kill time anymore but the hotel let me check in early and then I just crashed. I ordered food from the hotel and never went anywhere. The coughing was becoming a thing. 16 ish miles for the week. And a heaping pile of denial. Stay tuned for the slap in the face. Girl, that sounds like a tricky week! I hate it when I get sick, so I’m also one to completely stick my head in the sand and ignore the signs. But I cannot BELIEVE you got to meet Alysia Montano – she’s my idol and I would have gotten completely star struck. But good job for going up to her. 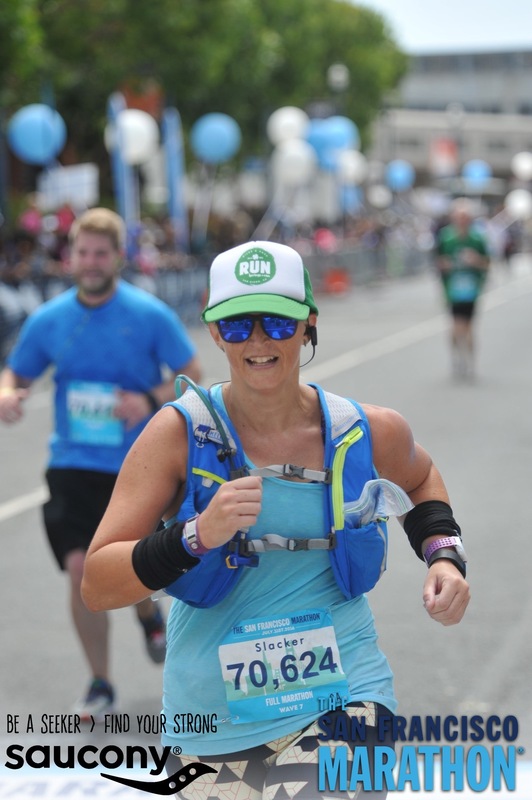 Cannot wait to hear the race report – hope you weren’t too hard on yourself given how rough you were feeling! Oh the denial was deep here. I know! When the guy walking around told she was there, I was like what???? I had to make myself get in line but I am so glad I did- she’s really nice. I’m sorry you were sick. Ugh. But way to go for stepping outta your shell to get an autograph from Alysia Montano! That’s so cool! Right, it’s definitely something I am always going to remember! I sure hope you are feeling better! I have a feeling your race report will be awesome! Good luck! Thank you! It’s still sickville around here but hopefully it fades soon. Sorry to hear you weren’t feeling well. That’s cool you got to meet Alysia Montano! Yes, it was definitely the highlight of the trip! 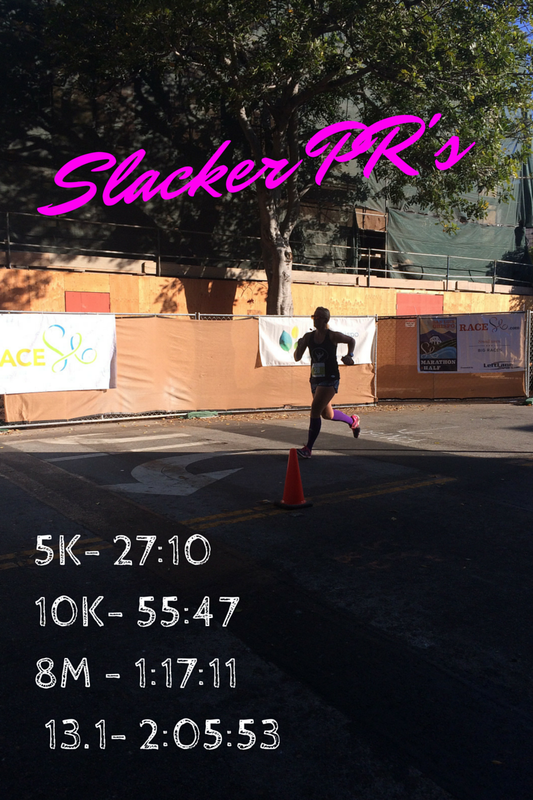 Join me on my journey of slacker to runner... or is it the other way around? Get out of your own damn way. I planned on running all day but when I finally left the Dr’s office I had a litany of reasons why I couldn’t. - The appointment ran way late. I was tired. My leg hurt. 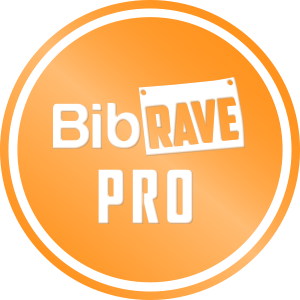 It was #bibchat night. I had to pee. - Passed my first running spot still strong that I wasn’t running. Got to home town and told myself I freaking stupid and headed for the river path. 2 miles. I could do 2 miles even if I crawled. 3 surprisingly chill miles later I called and only because I really did have to pee.😂 - - #morethanmyexcuses #bibchat #intraining #halfmarathon #SlackerRunner #justkeeprunning #knockfan #BibRavePro #run #runner #runnersofinstagram #marathontraining #running #runnersofinsta #runningcommunity #orangemud #orangemuddirtunit #rnrbr #rnrsandiego Training for @runrocknroll San Diego...and life.